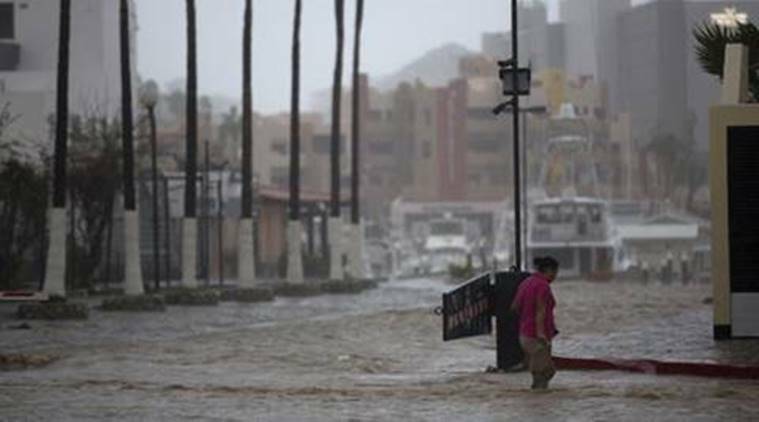 Searches continue for five others after a five-foot wall of floodwater crashed through the streets of a town in western Mexico, state officials said Monday night. Mexico City: At least seven people, including two children, are dead and searches continue for five others after a five-foot (1.5 metre) wall of floodwater crashed through the streets of a town in western Mexico, state officials said Monday night. Eloy Giron, the chief of operations for the Michoacan state Civil Protection agency, reported the latest death toll. He told The Associated Press that hopes were fading for finding two adults and three children still unaccounted for. Unusually heavy rainfall swelled the Cutio River and sent a wave of water into the town of Periban on Sunday. Giron said witnesses reported that the rush of water was so powerful that it sucked some people out of houses. “The water devastated everything in its path,” he said. Giron said about 40 homes, all along the banks of the river, were destroyed. Periban is in a forested, mountain zone known for its avocado groves.